Sarah Jones and Peri Wagstaff founded Mess Up The Mess in Slough in 2005. 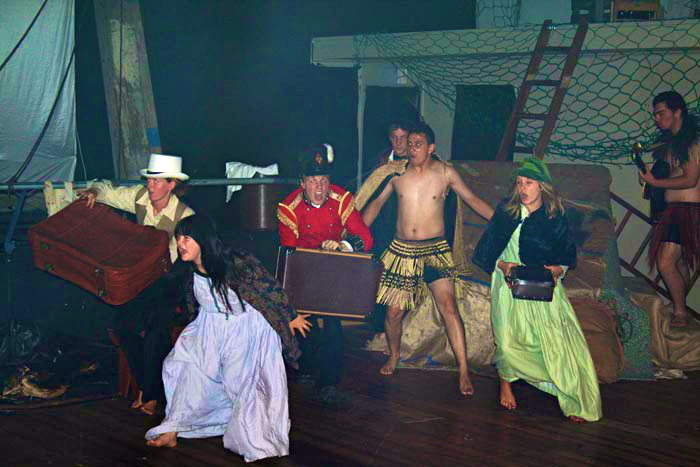 Working with disadvantaged and hard to reach young people they developed productions including A Winters’ Tale and Threepenny Opera and pioneered the Apprentice Theatre Scheme for the Creative Academy and Arts of Council England. Peri brought Mess Up The Mess to Wales in 2007. Based initially in the rural village of Brynaman, Mess Up The Mess worked with 150 young people from Wales, England and New Zealand over the internet to create Strangers, an original production exploring themes of being a stranger, cultural heritage, immigration and colonisation. Strangers International Youth Theatre Project. February 2008. Sarah returned from New Zealand in 2009, and the company brought together 50 young people to work alongside professional artists and the wider community to research, write, perform and tour an original bilingual production commemorating the Miners’ Strike of 1984 from the perspectives of local women. Act Now! – a 3 year programme, funded through the Big Lottery Fund, bringing diverse groups of young people together to collaborate on multimedia arts events which articulate their perspectives and experiences. Reach The Heights – a 4 year programme, funded through Arts Council Wales and European Social Fund, engaging young people not in education, employment or training, improving their skills and increasing their confidence. Hidden – a challenging piece of professional theatre for young audiences based on the experiences of children and young people living with parents with alcohol and addiction problems. Now based in Ammanford, Mess Up The Mess has grown to include 5 staff and a vast team of freelance professional artists, volunteers and peer leaders. It runs 4 regular weekly bilingual workshops in Brynaman and Ammanford and delivers outreach work with hard to reach and easy to ignore young people across South Wales. Mess Up The Mess is now embarking on a new major programme, Dream On. Dream On will work with young people to identify real problems in their communities, and support them to creatively find solutions which make a real difference.